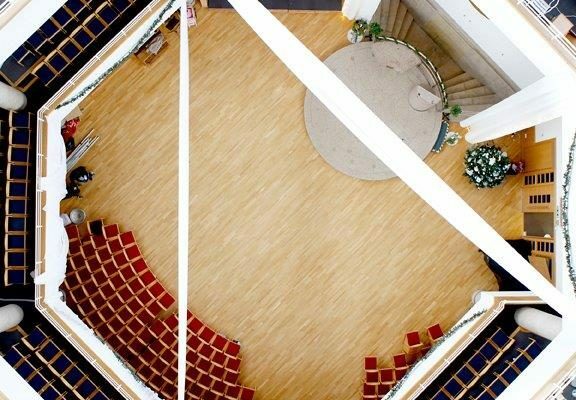 The Worship Area is the most iconic venue for your event in Milton Keynes. The Worship Area is the most unique venue hidden within the church. It is fully equipped with the latest sound system and lights, meaning that we can turn you dream event into reality. Simon, our Events Manager, will personally look after you, making sure you get what you want, and more, all you will need to do is turn up and have an amazing time. This is the largest of our three rooms, and can be configured to meet your specific needs, whether you are looking to hold a seated conference, banquet, or party. 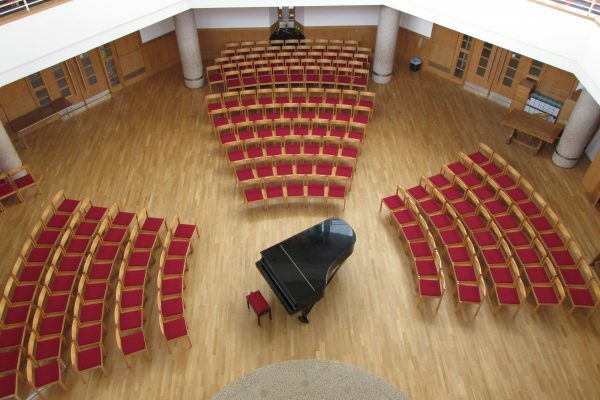 The Worship Area is well known for its acoustics and has been used for some of the largest concerts in Milton Keynes. 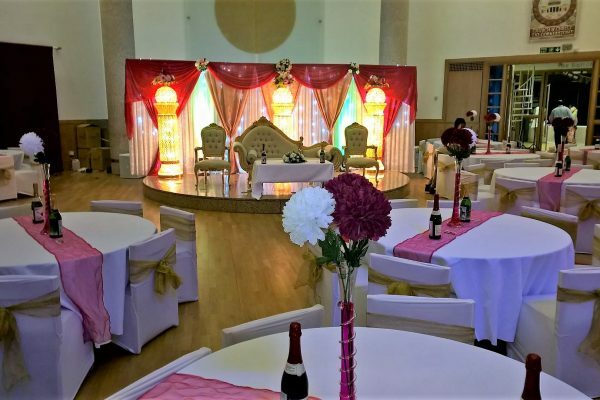 With a capacity of over 450 it can be used for wide range of functions, including birthday parties, anniversary celebrations, wedding receptions, school proms, live music events and corporate meetings or product launches. We can provide a fully stocked bar, catering options, and a fantastic range of audio-visual equipment to make sure your get the most out of your event. “I held a large function in aid of two charities for 230 people at the church. I hired The Worship Area and The Guildhall, paid for a bar, reception drinks on arrival and asked for occasional and bar tables to be positioned within the church. I received universally favourable feedback in respect of all aspects of the function including the venue. 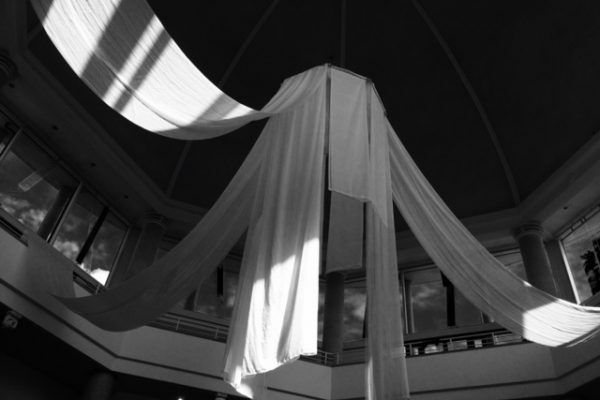 Many people commented on how unusual it was to have a function in a church but how much they enjoyed the high ceiling and the feeling of space and light. The church easily accommodated the large number of guests. The bar staff were extremely efficient and friendly. The function varied from being formal at the start to becoming more of a disco by the end but all aspects of the function were catered for. Mr Lowson was at all times friendly, accommodating and extremely helpful. 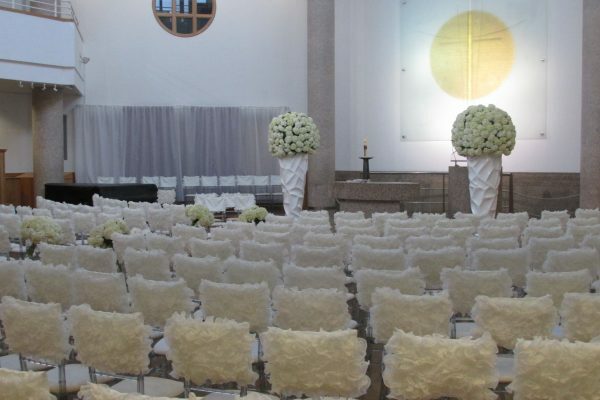 I also considered the venue and other services to be extremely good value for money.